When updating your church furniture, it is not uncommon to want to sell what you currently have to help offset the cost of new furniture. But, how do you know how to price it to avoid giving it away too cheap or asking too much and not selling? Here is a brief guide to help you determine how much you should be asking when posting church chairs and pews for sale. In most cases, the furniture being sold on listing sites are around 20 or so years old, some with signs of wear and tear and others in pristine condition. Depending on the condition of the pew, you can generally ask for a couple hundred per pew. 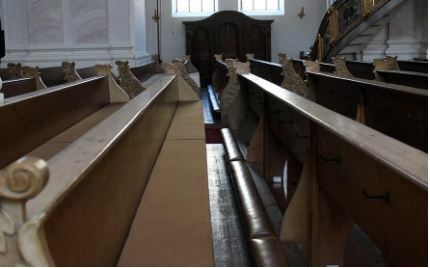 Pews that are in worse condition can generally go for around $50.00. If you’re not sure how much to ask, take how much you are considering asking and divide it by the total length of your pew to see how much it comes to per foot. Don’t be fooled into thinking that you can charge more just because you want or need more to compensate for the cost of the new pews. If your pews are custom, you can usually ask for a little bit more. If you have name-brand church chairs you are in luck, because you will be able to get more for your used furniture than off-brand chairs. Do a little bit of research and find out how much new chairs cost, and mark yours down appropriately. Keep in mind that if your chairs are too customize, they may be harder to sell. There are a few more factors to consider when trying to price a used church pulpit. Size, style, and other features will all impact the price others are willing to pay for a used pulpit. Surprisingly, acrylic and metal pulpits tend to retain their value longer than wood pulpits. Check and see what similar pulpits are selling for and ask a similar price. 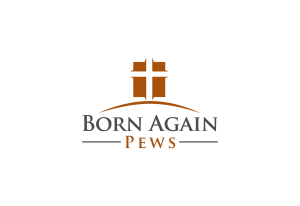 Once you have established asking prices for your used church chairs, pulpits, and pews for sale, you can confidently post your furniture to listing sites and waiting for the buyers.